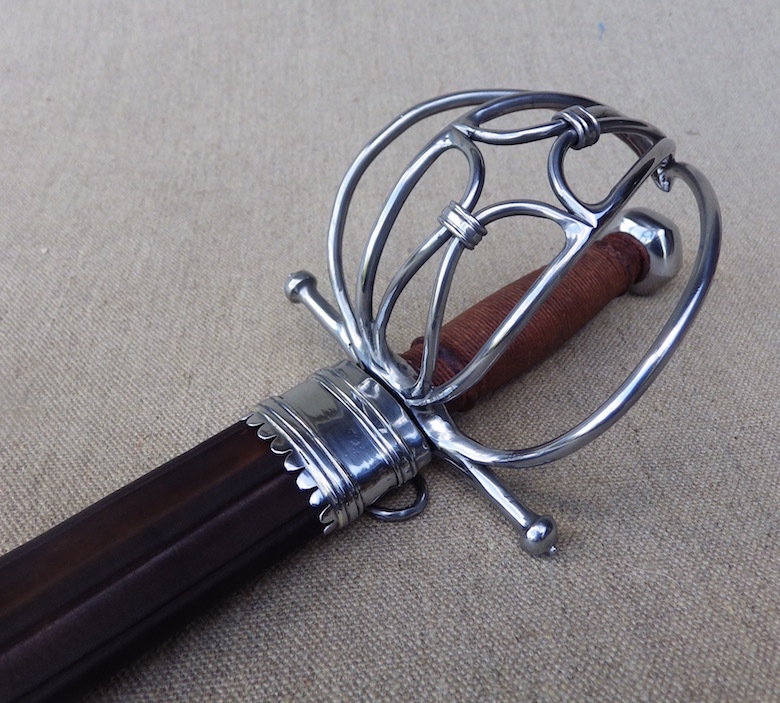 This sword is a classic English Basket Hilt as recommended by George Silver. 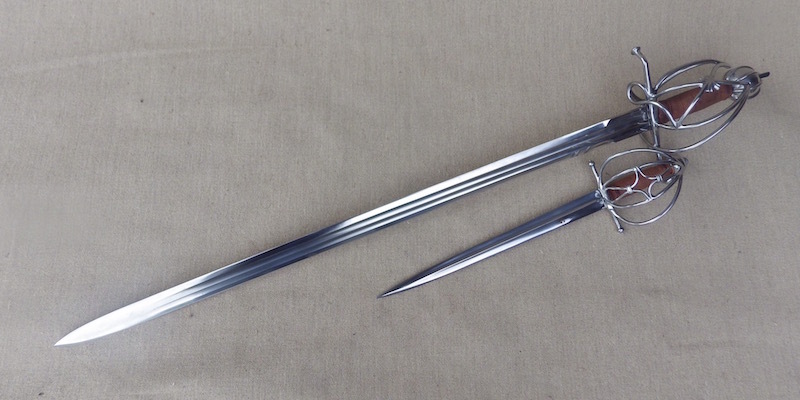 The blade is around 35" and hexagonal in form with a long ricasso and two full length fullers each side. Thgis makes the blade long but light and great for slashing and a reasonable level of stiffness makes it OK for thrusting. 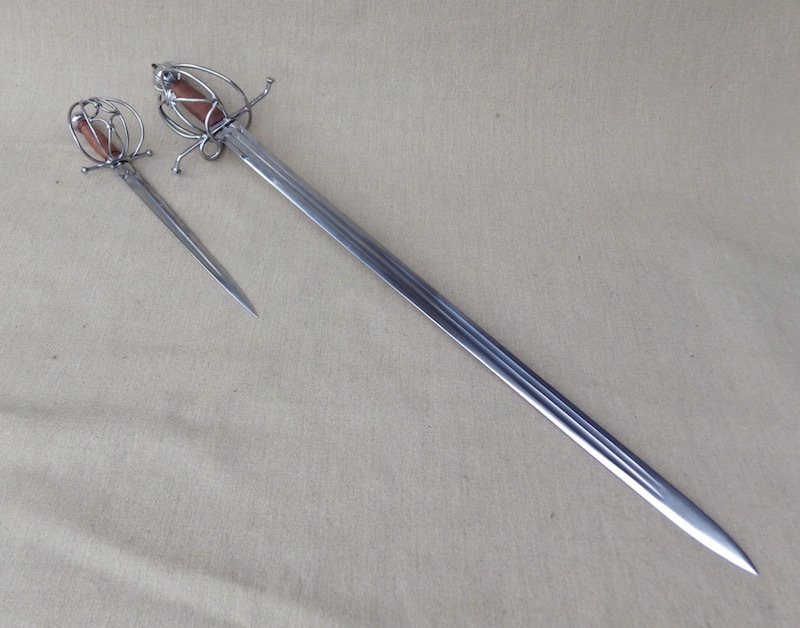 The guard and blade are based on many extant examples, famously the Mary Rose and Southark swords being two of the type. 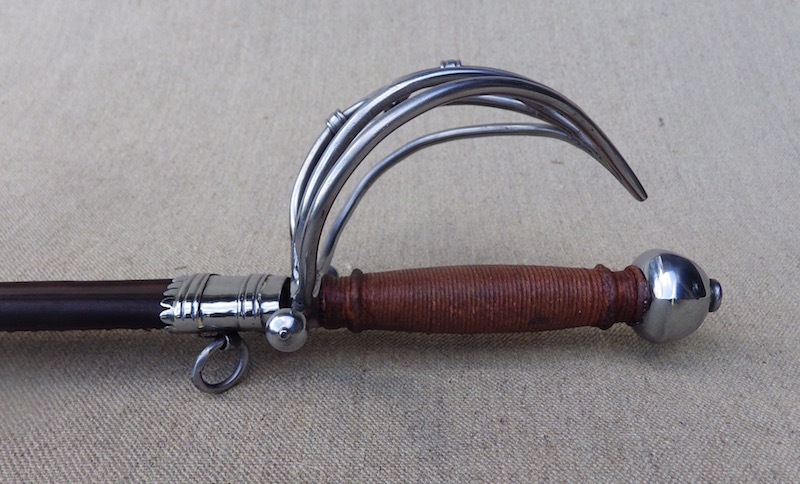 The pommel is hollow with brazed on ribs and the grip is cord wrapped leather over wood. In this case the grip is a larger circumference than I would usually fit. 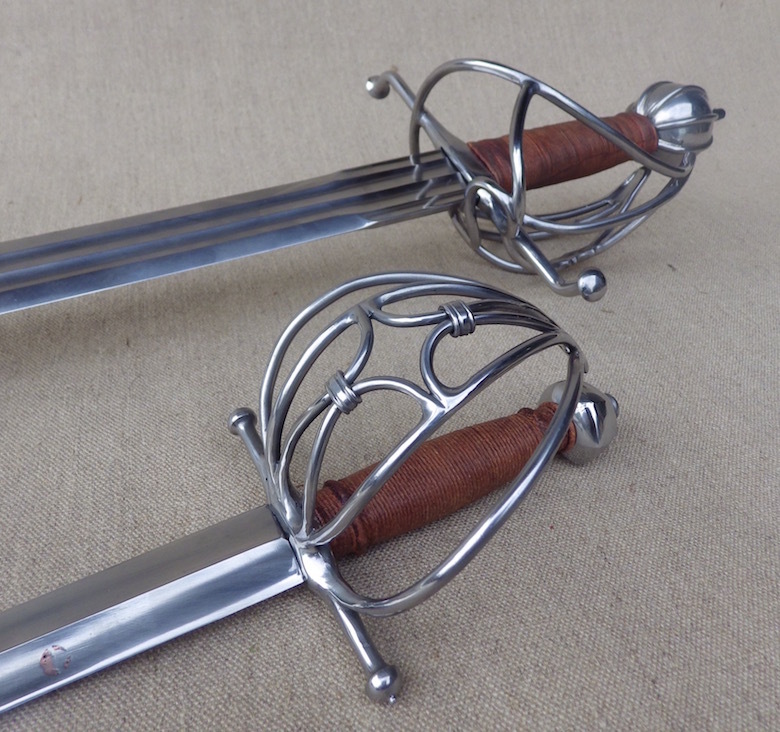 The dagger was made as a companion piece to the sword rather than a matching piece and is based heavily on one in the York Museum, though the guard was changed as the original had features neither of us liked. 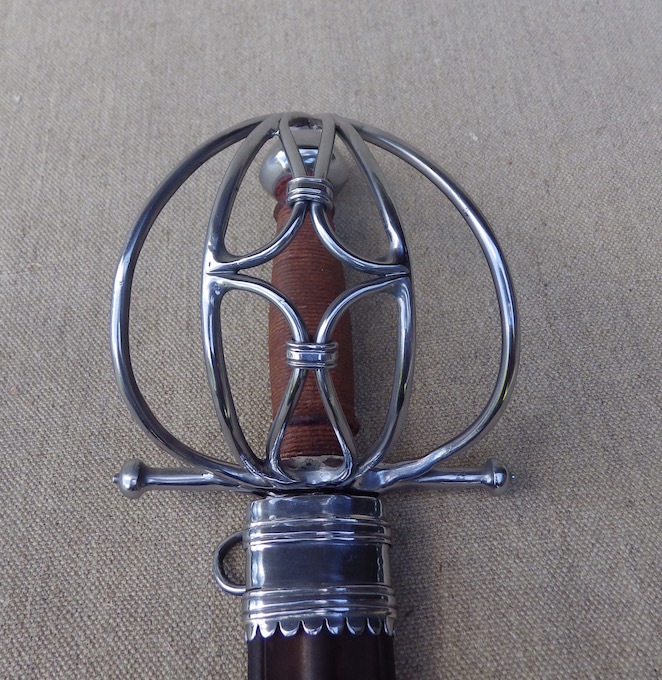 The grip is cord bound leather over wood and the pommel is solid and is a softened hexagon. I hope you like the pieces and if you have any questions or comments, please let me know. I really love this set. I had wanted one like it for a long time. 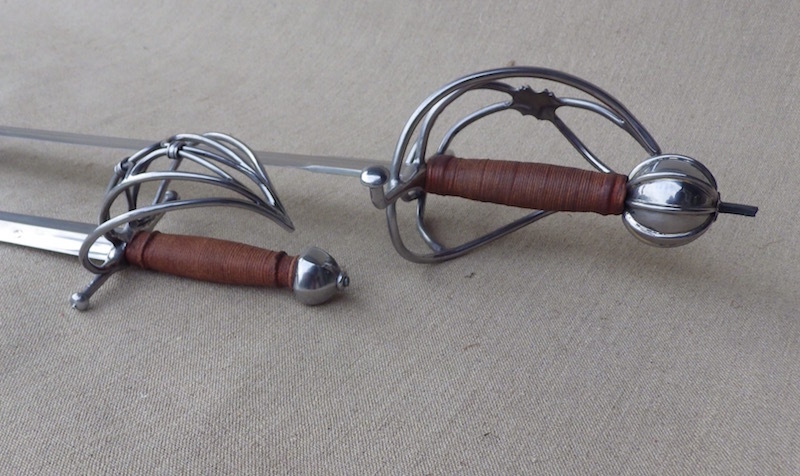 I'm not sure why I never had a companion dagger made for any of my lowland basket-hilts I've owned over the years. Wow! That is just gorgeous Tod!!! I love the blade. Is it hollow ground in addition to the double fullers and ricasso? It looks like it is but it is hard to tell... Stunning work, the owner will be very, very happy! Beautiful work as always Tod. Looks good! 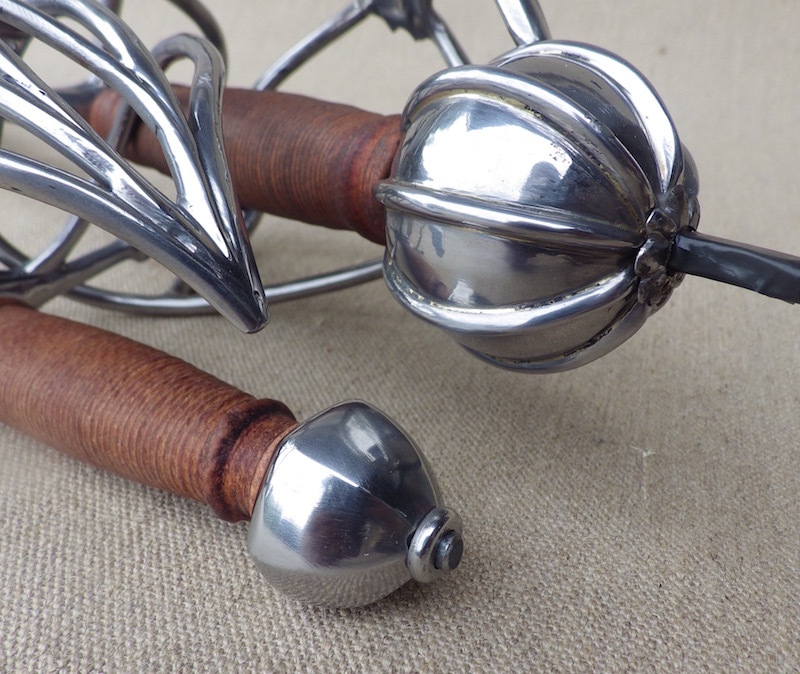 I have often thought about doing that dagger, and designing a basket to match, but have never gotten around to it. Ooof! Another beautiful set! Will they have scabbards? Nice set! Not something you see very often. Also, I have to ask: Is that isolating tape wrapped around the to-be-peened tang? Thanks very much guys, I really appreciate it. 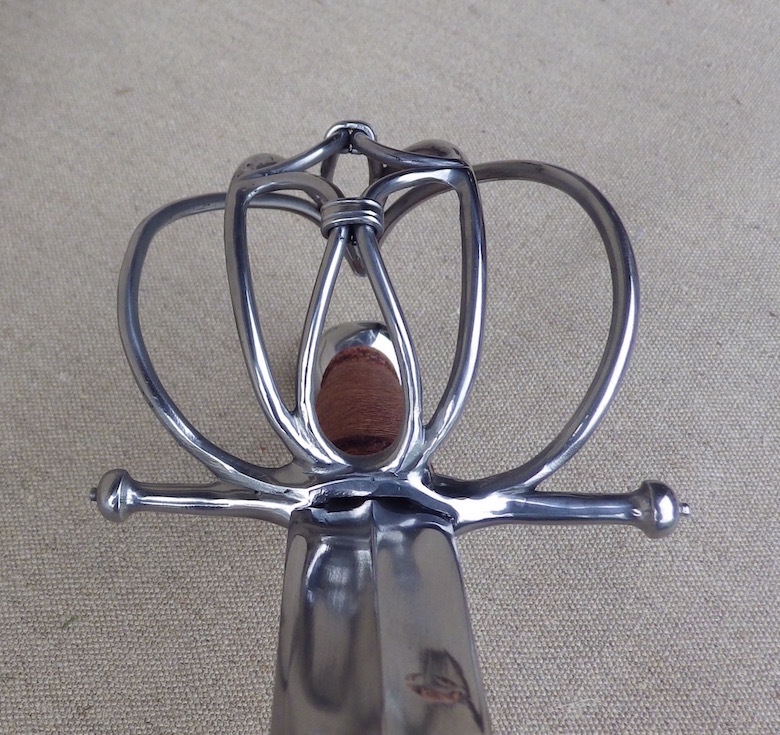 The blade edges are flat, it just has a pair of fullers either side of the centre. Yes that is insulating tape prior to peening the pommel. I have lost so many washers and buttons over the years by forgetting and picking the piece up and the washer falling off, so now I just put a wrap of tape around to hold all the bits. 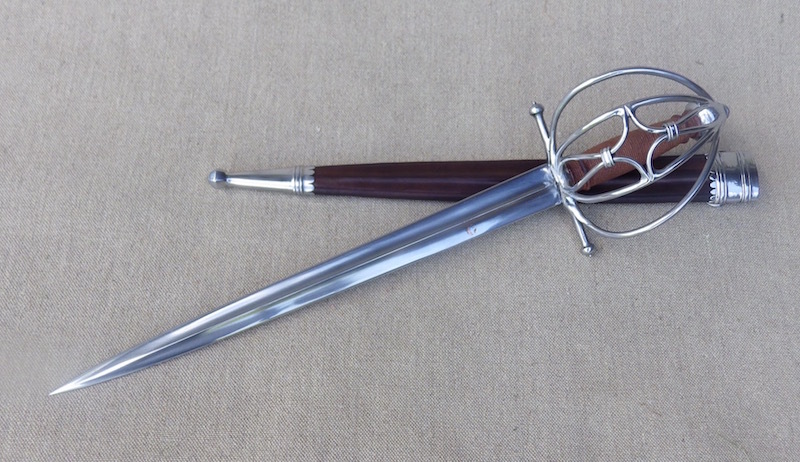 El Jay, it is a lovely dagger and one that deserves your love I think! 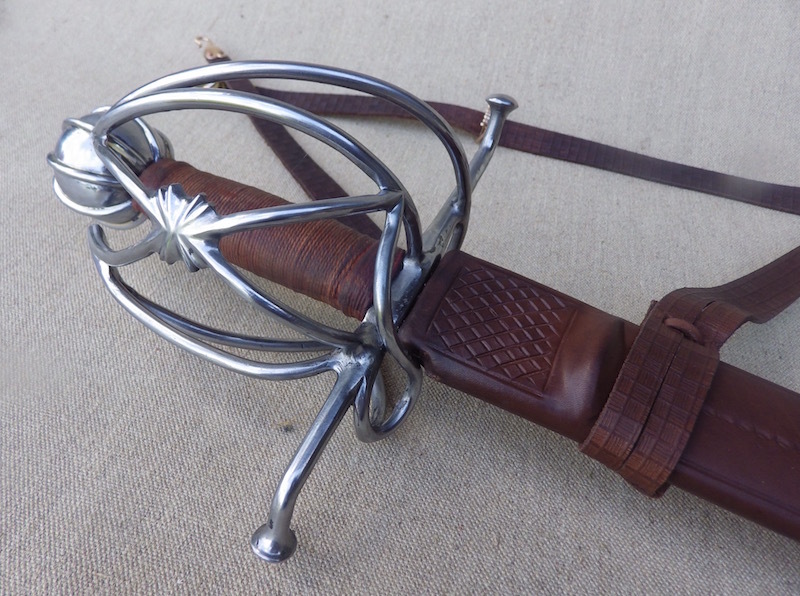 The dagger has a double layer veg tan leather scabbard in brown with steel throat and chape fittings. 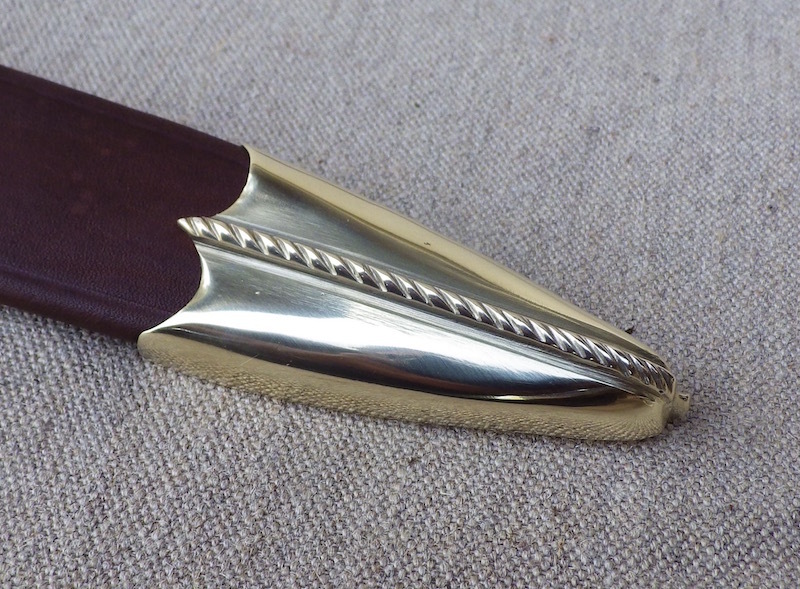 I have kept the fittings quite simple, as the dagger is really a relatively simple piece. It is set up to hang from two straps which I will set when the customer collects. 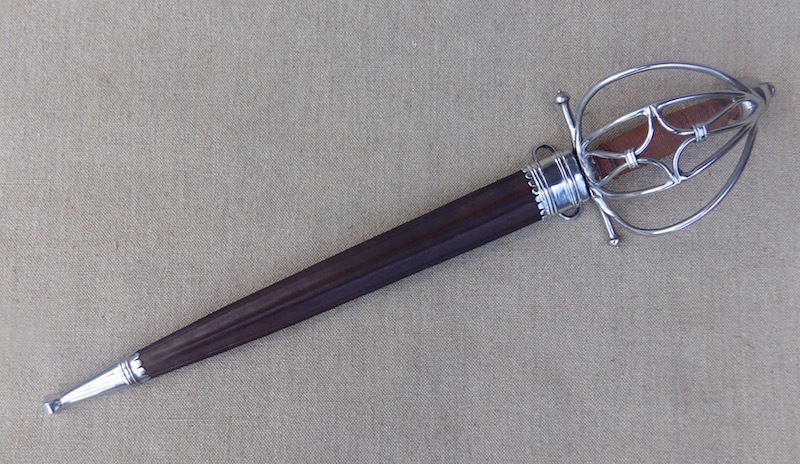 The sword scabbard is a poplar core with a veg tan outer and is loosely based on a piece recovered from the Mary Rose. 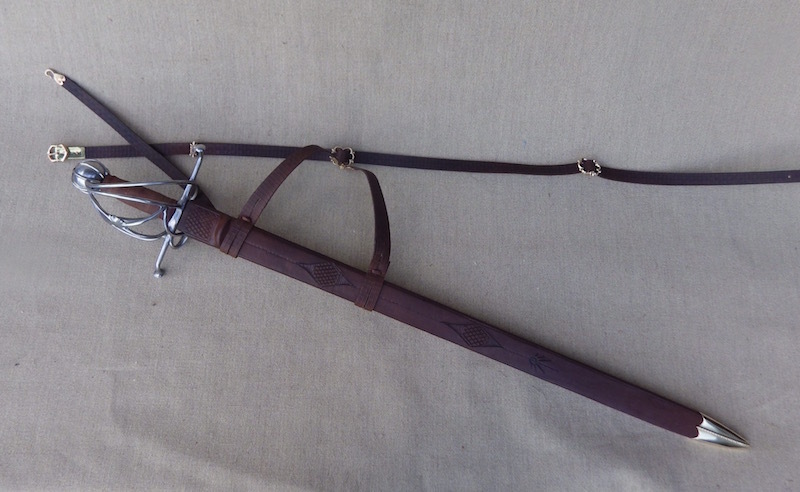 It has a very prominent riser near the throat and is set up with hanging hooks and belt sliders. 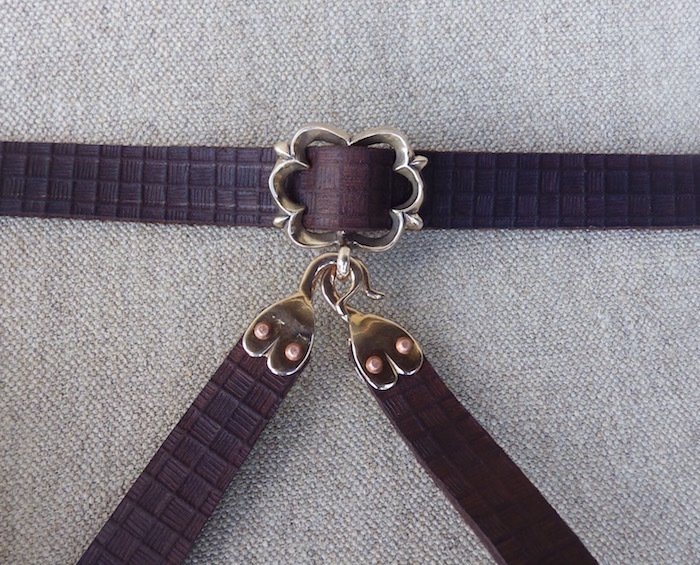 The hooks, slider and bronze strap keeper are all new fittings available from me. 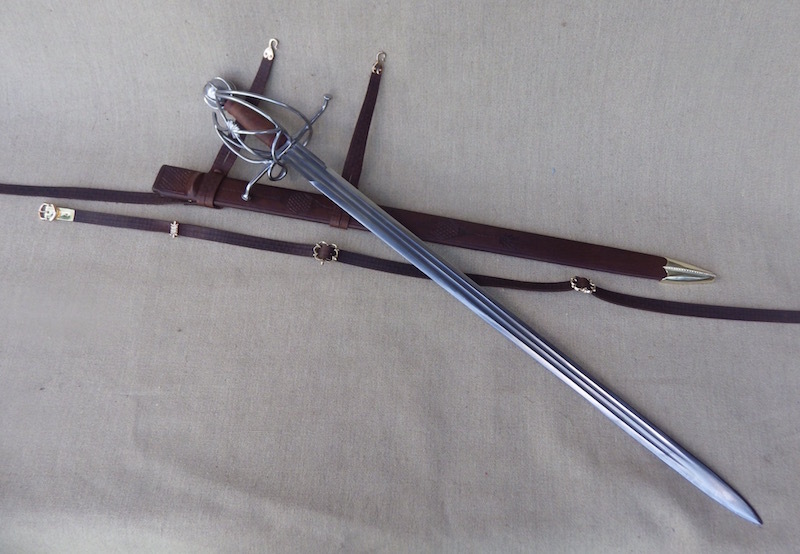 The chape is brass and is a flat backed piece that personally I can't stand, but is very period to the sword and scabbard. If there is anything you would like to know please ask, and I hope you like the finished pieces.